Herbaceous branching climber, up to 3m long, native to tropical Africa, India, naturalized and cultivated elsewhere; leaves up to 15cm long, sessile or nearly sessile, ovate-lanceolate, glossy, acuminate, tip ending in a tendril; flowers solitary, large, axillary, nodding, variable colored from orange-scarlet to crimson, petal margins crispy-waved; spreading filaments 3-4cm long, anthers about 1cm long. 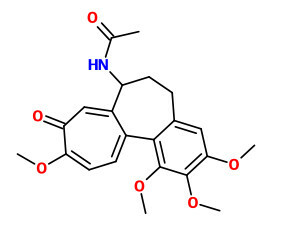 Drugs prepared of colchicine or colchicine containing herbs like G.superba are effective against gout, but also toxic. The levels of colchicine determined in six different species of Gloriosa by extraction with petroleum ether and dichloromethane revealed that, Gloriosa planti tubers exhibited the highest value of colchicine (0.34 mg/g), followed by Gloriosa lutea (0.29), Gloriosa casuariana (0.24) and Gloriosa superba (0.21 mg/g). The colchicine content in G.superbatubers ranged from 0.1% to 0.5%. and was invariably found higher in cultivated tubers than their wild counter parts.